While we receive and process many types of plastic, Parallel Products specializes in processing Polyethylene Terephthalate “PET”, the most common resin for use in beverage bottles. Recycled Plastic processing is the anchor activity of our industry leading facilities in New Bedford, MA, North Boston, MA and Bronx, NY. These locations provide collection, auditing and recycling services for bottlers and distributors located in Bottle Bill states. 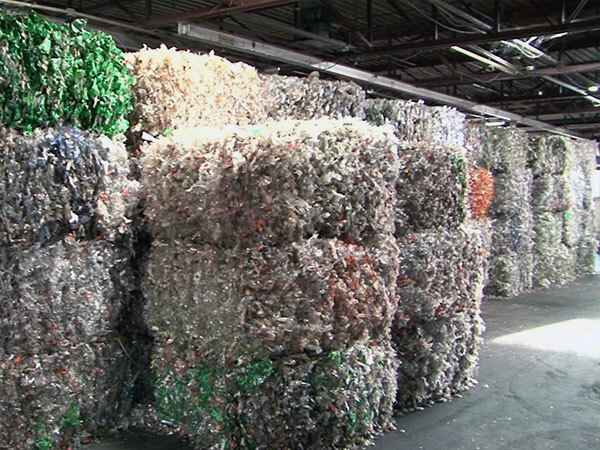 Our three Northeast facilities utilize the best available technologies for de-bale, color-sort and grinding of PET. Additionally, our high speed optical sorters separate the PET by color and opacity. Did you know that plastic bottles may be recycled and utilized to create a wide range of consumer products such as carpeting, clothing or patio furniture? Everyday, we make this possible.